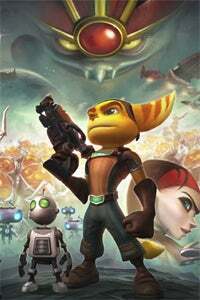 At Sony's E3 press conference, Ratchet and Clank Future: Quest For Booty was announced for the PlayStation network, picking up where Ratchet and Clank Future left off. The idea is to offer a shorter game for a lower price, said Sony's Jack Tretton. Essentially, it looks to be a new quest pack for R&C Future, featuring "light and dark gameplay," and will go for $15 this summer.